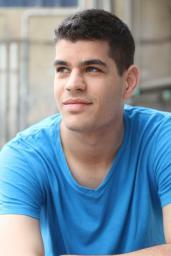 Dor Meir is a first-year MA student in economics and public policy at the Hebrew University of Jerusalem. Originally from Givat Shmuel, he earned his BA in PPE (philosophy, political science, and economics) at the Hebrew University. He's currently working as a researcher and economist at the Kohelet Forum for Economics in Jerusalem, as a research assistant at the Hebrew University, and as an IT professional in several data-extracting projects. He is interested in ventures in IT and computers as well as in public policy, with an emphasis on economics. You have experience researching the Israeli economy. What factors do you think contribute to the success of market capitalism in Israel? What are the strengths of Israel’s economy, compared with that of other countries? The best example of the success of market capitalism in Israel is the Israeli high-tech industry, drawing many foreign investors to Israel and generating great technological innovations in a variety of sectors: smartphones and computer software, agriculture and food tech, cybersecurity, navigating, autonomous vehicles, and more. I believe that two main factors contribute to the success of the Israeli high-tech industry: the innovative and nonconformist Israeli character, sometimes simply called "Israeli chutzpah"; and the relatively low regulation in the high-tech sector. When combined, these factors create a highly flexible industry, capable of competing with high-tech companies worldwide. Israeli chutzpah, however, though undoubtedly a strength, also has its flaws, such as a low quality of business-service orientation and of government services. How has your time in the military and IT influenced your worldview? My worldview changed dramatically because of my military service. The army places heavy responsibilities on the shoulders of youngsters in Israel, which usually causes them to discover their strength in dealing with major difficulties in a stressful environment. And it makes one clearly see himself for who he is. As for my IT job in the army, the harsh and long training program gave me, a normal teen without any special ability in computers, methods of studying and helped me understand how computer systems, software, and the Internet work, which was fascinating. I acquired a specialty and much experience that not many people have. I often notice similarities between economic theory and computer practices. The Adam Smith Society's Hebrew U. chapter is our first international student chapter. What makes you excited about joining? What appeal do you think understanding economics has for your classmates? Adam Smith’s ideas and philosophies are of great value in worldwide economics today, so I’m very excited to participate in this student chapter. I studied some of Smith’s ideas during my BA and always found them intriguing and interesting, but I felt as though my studies have so far lacked the core principles of his work. Understanding economics means understanding a major part of our life in this world, and I’m sure my classmates feel the same. What are some of the highlights of your experience as a researcher at Kohelet Policy Forum? Kohelet is, in some ways, a dream come true for me, since it combines research and creating true knowledge, while also aiming to create a better society and a better life in Israel (which is not always the case in academic research). Each day, I get to learn something new and develop my research abilities. I feel very fortunate to work at Kohelet.